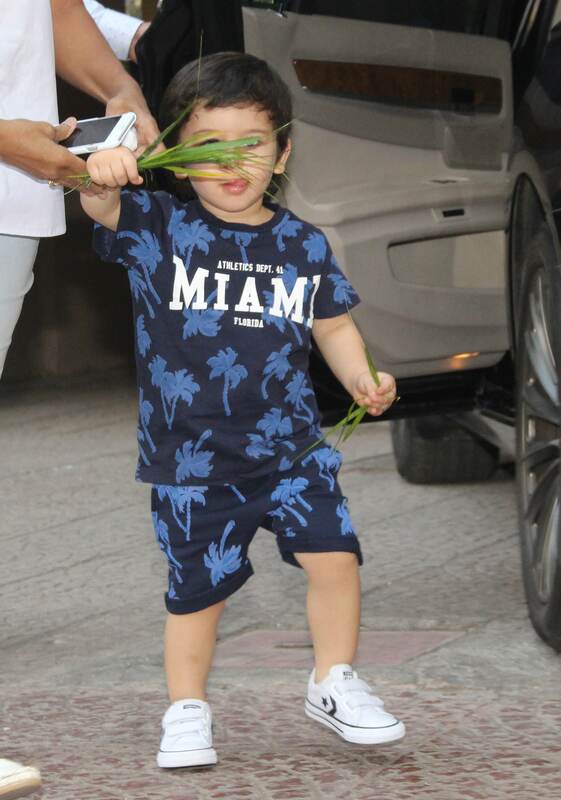 Bollywood's youngest star kid was spotted outside his playschool in Bandra. The little one donned a purple t-shirt and half pant with Miami written on it. 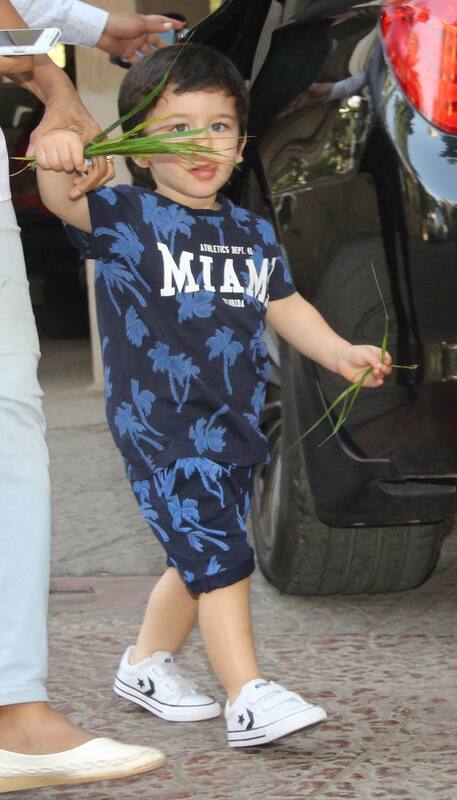 Co-incidentally, Priyanka Chopra is holidaying in Miami with Nick Jonas, we wonder if Taimur wants to join his aunty PeeCee. Taimur is the most-searched celebrity on social media. His pictures go viral in no time. Saif and Kareena don't like the paparazzi attention that their sons get, Taimur, on the contrary, is quite fond of the media. 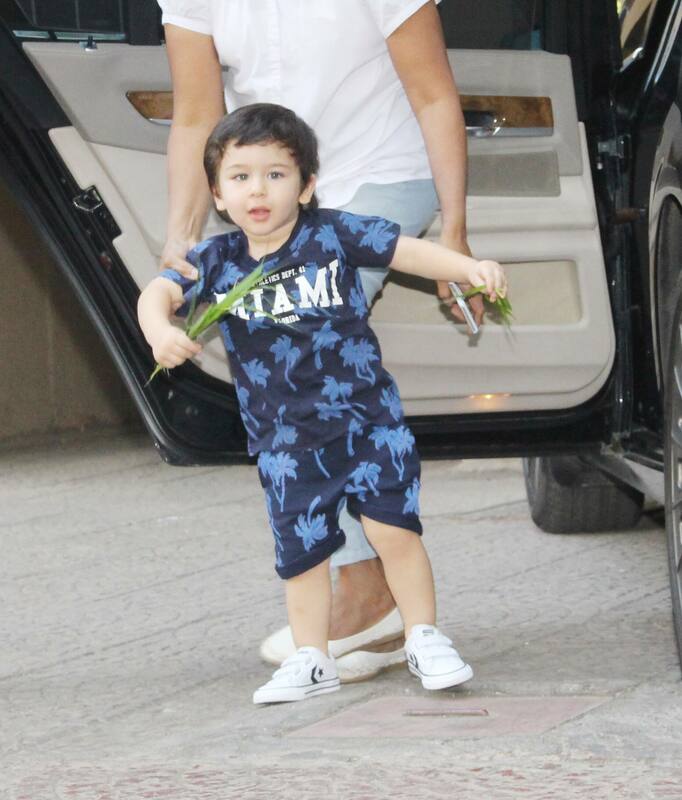 Taimur is all of two and already knows how to address the shutterbugs!